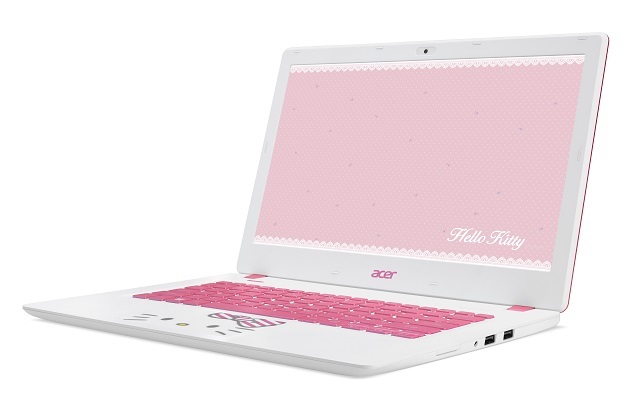 Acer releases a limited edition Hello Kitty laptop. 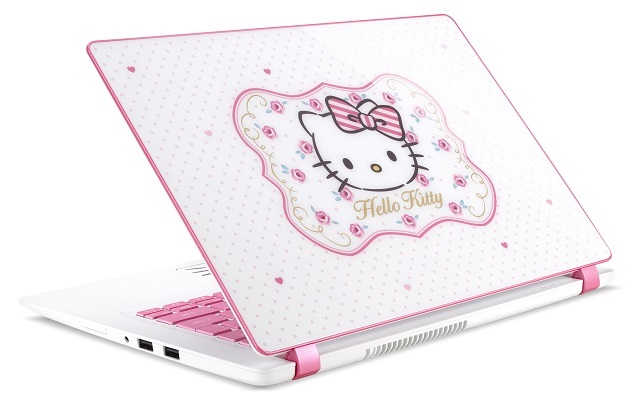 Acer Philippines launches limited-edition Hello Kitty themed laptops. Lovers of the popular Sanrio character will be delighted with the pastel-pink and white theme which is omnipresent in the entire retail package and accessories. The floral and lace elements are also present throughout the design of the hardware. A pink and white chassis highlights Hello Kitty in the center of the lid together with the character's signature colors and polka-dots. Both trackpad and keyboard also come in pink amidst the white hue of the lid and lower keyboard frame. The Acer Hello Kitty Limited Edition Notebook could squeeze up to 8 hours of juice. It also packs a punch with its Dolby audio-experience cinematic surround sound. Under the hood, it is powered by the latest generation Intel Core processors coupled with 16GB system memory. On top of the superb specs, the Hello Kitty Limited Edition Laptops comes with Iris graphics for best performance, Precision Trackpad and BluelightShield. The Hello Kitty Limited Edition Laptop is priced at Php 45,999 and is offered at 0% interest for 36-month installment if you're an HSBC card holder.